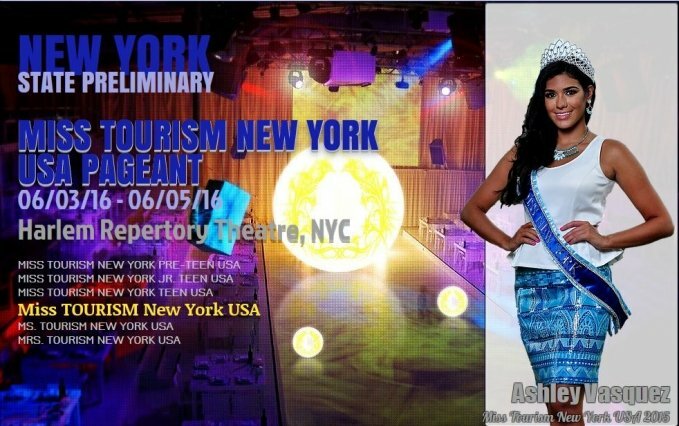 QUICK JUMP: Contestants Pageant Information How to compete in Miss Tourism New York USA 2018? Miss Tourism USA is the OFFICIAL USA National Organization responsible for selecting the USA Tourism Ambassador to represent the USA at international pageants including Miss Tourism International (Malaysia), Miss Tourism Queen International (China), Miss Tourism Queen of the Year International (China), Miss Tourism Planet (Greece), Miss First International (China), Miss Jamzone International (Guyana), Miss Cosmopolitan World (Malaysia), and Miss Global Beauty Queen (Korea). 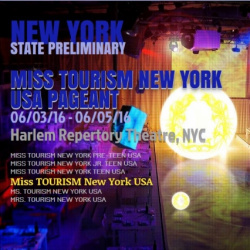 How to compete in Miss Tourism New York USA?